Warm up with the NAC Orchestra Family Adventures Series! Looking for some entertaining (and educational) activities to enjoy with your child this March? Check out the remaining two performances in the Family Adventures with the NAC Orchestra series. Geared to kids aged 5 and over, this fun and interactive series introduces children to the joy of orchestral music. 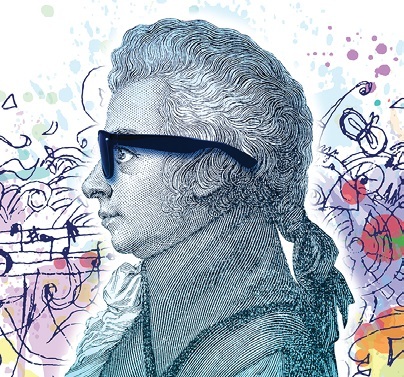 Each performance is accessible in either English or French, lasts approximately one hour and features the NAC Orchestra with special guests who bring the music to life! Be sure to arrive 45 minutes early to participate in hands on pre-concert activities. Tickets start at $15 for kids and $20 for adults. **GIVEAWAY! We’re giving away four tickets to the March 30th performance of Orchestra From Planet X! To enter, simply leave a comment on this Facebook Post letting us know who you will take with you to this sci-fi musical! Draw will take place Friday, March 15th. This blog post has been sponsored by the National Arts Centre Orchestra. All opinions are our own. We’re so lucky to have museums, farms and malls in the Ottawa region who love to celebrate Halloween as much as our kids do! 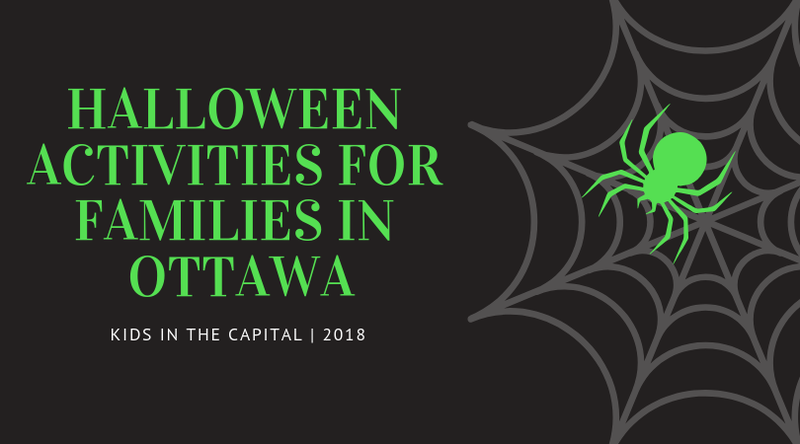 Here’s this year’s list of Halloween activities for families in Ottawa. Families are encouraged to come in costume and take part in a costume parade, pumpkin decorating, a candy making demonstration, a science ‘spooktacular,’ tour the spooky barn, and much more! Scarier at night and as a not-as-scary experience during the day, Saunders Farm offers families the ultimate in Halloween thrills and chills! The Day Haunting Season is fine for kids as the more scarier attractions are closed and the jumping pillows and main play area is open. There is also a pumpkin patch hay ride available for young visitors. Family-friendly during the day, and a lot scarier at night, Cannamore Orchards Halloween fun includes their infamous Spooky Wagon Ride, The Spooky Village, Kid’s Spooky House, The Fog Maze, The House of Terror, and much more! When: Tuesday, October 31st from 10:00 a.m. to 4 p.m. 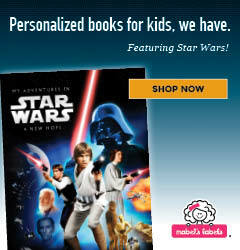 Admission: By donation for parents, grandparents, or caregivers with kids. Kids under 5 are free. A perfect Halloween Day activity for young kids. Kids and adults can come dressed up in their favourite costume and discover spooky (and cute) ghosts and monsters throughout the museum to collect treats. A corn maze (which is haunted at night), haunted house, wagon rides, magic shows, and more, this makes for a fun fall drive through the Ottawa Valley and is fun for all ages! Characters from well known stories will take over Billings Estate! Come dressed in your costume and explore Ottawa-inspired fairy tale realms. Complete fun Halloween activities, or tricks, to enjoy a delicious treat. *Please dress appropriately for weather conditions; activities will take place both indoors and outdoors. Admission: Cost: $19.25 families; $7.50 adults; $5.50 seniors and students. Children under 5 are free. Memberships are welcome. Before trick-or-treating became the norm, Halloween was the night all the pranksters came out to play. Follow the clues to help Cumberland Museum identify who’s been causing mischief! Wear your costume and enjoy a few yummy treats along the way. Bring your friends and gather around the fire at Pinhey’s Point for a live storytelling program that will truly take history beyond the ordinary. These ghostly tales will leave you unsettled, a familiar feeling to early settlers during Hallow’een. A lantern-lit tour of the house and grounds will add to the atmosphere and hot apple cider will be served for a seasonal treat. When: Saturday, October 27th, 1 t 4 p.m.
A children’s Halloween Party with fun Halloween games and crafts. A great way to see this historic mill and celebrate Halloween! Visit Upper Canada Village and discover a selection of all-new pumpkin-carved displays as well as fan-favourites! This event is for all-ages and includes 7,000 handcrafted pumpkins all lit at night along a kilometer long path in a picturesque 19th-century backdrop. It's #Canada151 this year and we have everything you need to know to plan a memorable Canada Day with your family. On Canada Day, dress up in red and white and join thousands of other Canadians in downtown Ottawa on Parliament Hill. It’s the place where Canada Day festivities officially kick off (usually with the raising of the flag at 9 a.m. and the Changing of the Guard at 9:30 a.m.) and it’s the place to be if you want to listen to dignitaries and ceremonies commemorating Canada Day (this usually takes place from about noon to 1:30 p.m.). If live musical entertainment is what you’re looking for, visit Major's Hill Park but return to the Hill in the evening as live bands countdown the fireworks display that typically goes off around 10 p.m.
Major’s Hill Park is the hubbub of family-friendly Canada Day activities in Ottawa’s downtown core. Visit the park for face painting, live musical and cultural performances, pop up shops, exhibitions, and so much more. This year the Tim Horton's stage will feature rising Canadian artists Elijah Woods and Jamie Fine! At the end of the day, this is a great spot to watch the spectacular display of Canada Day fireworks over the Ottawa River. The National Arts Centre (NAC) opens its doors from 10 a.m. to 5 p.m. on Canada Day offering various free activities, including music and dance performances, as well as kids crafts! If you’re hungry, join us for burgers and hot dogs at our Canada Day BBQ from 11 a.m. to 5 p.m. Located right across from City Hall, Confederation Park on Canada Day is home to food trucks, activities and is your ticket to some of the world's most recognized jazz artists, presented by the TD Ottawa Jazz Festival. If your family enjoys good music, Confederation Park is a must-stop on Canada Day and the entire weekend! Mackenzie-King Estate is in the heart of Gatineau Park and makes for great photos any time of year. If your family loves the outdoors, take a walk through the wooded paths or gardens, visit historical ruins from the early 1900s or enjoy a cup of tea at the Mackenzie King Café and Tearoom. Photo courtesy of Olivia Lamarre. Take your kids to a ball game! The Ottawa Champions have a game at 1:30 p.m. on Canada Day. Enjoy ball game food, cheer on the local team and sing with the mascot! Seats prices are economical and it’s fun for the entire family, regardless of age (or whether or not they like baseball). If you and your family love to run join Run Ottawa for the Scotiabank Canada Day Road Races at Walter Baker Park as part of the official Kanata Canada Day celebrations. There will be fun and friendly running events, including 5K, 10K, 1.5K Fun Run for kids aged 5 to 11 and a 100 Meter Tow Trot for kids ages 4 and under. A fun and healthy way to start Canada Day! Photo courtesy of Lida Wellman. Over 20 organizations and special guests will be celebrating Canada Day at the Canada Aviation and Science Museum, and many visiting aircrafts will be flying in for Museum visitors. There may even be a chance to speak to the pilots! Admission is free all day on July 1, but donations are welcome. On July 1st, the Canadian Museum of History will host a variety of indoor and outdoor activities with guest, Parks Canada. Get free airbrush tattoos, play trivia, and join General Patente for board and chain reaction games. Located on the Lower Locks of the Rideau Canal, the Bytown Museum is a great little museum that also has ice cream, freshly squeezed lemonade, souvenirs, and more available in their café and boutique. Admission is free on Canada Day. Rain or shine, kids and adults alike will have fun exploring the newly renovated Canada Science and Technology Museum. There is always something to see and Canada Day is a great day to check out their fantastic new special exhibition, The Art of Brick. In addition to the animal barns and incredible play structure, the Canada Agriculture and Food Museum will offer visitors the chance to learn about Canadian agriculture and learn about different Canadian breeds of livestock. There will be games, a craft, ice cream making and tasting, as well samples of the Canadian classic: Nanaimo bars. If you haven’t been to the Canadian Museum of Nature in awhile, Canada Day is the perfect chance to do so for free. Visit dinosaurs, mammals, minerals and sea life, the Canada Good Arctic Gallery and their new special exhibition Brain: The Inside Story. Celebrate Canada Day in Your Community! Regardless of where or how you decide to celebrate Canada Day in Ottawa, OC Transpo offers free transit all day long and after the fireworks. STO offers free transit after 10 p.m. Check out their website for more information and remember to leave lots of time for travel and to have fun – Canada Day with kids make for some great memories. How does your family traditionally celebrate Canada Day? Leave a comment and let me know! The Winter Olympics are set to start on February 9th, which means our newsfeeds and televisions will once again be filled with stories of elite athletes from all over the world competing in everything from figure skating, curling, skiing, and more! We love watching the Olympics in our house. I find the Olympics bring with it a natural excitement and a strong sense of national pride. It’s also a great opportunity to teach kids about sports and activities they may not otherwise be familiar with, such as bobsledding and luge. Making Olympic medals is an easy and fun activity for kids of all ages. A few years ago, I helped a local Sparks group make these medals. We used a simple salt dough recipe to create ours, similar to this one from Living Well Mom: Salt Dough Olympic Medals. However, instead of stars, we used a smaller circular lid and had the kids create their own Olympic rings (they used marker to colour them in once they were out of the oven and completely cooled). If you plan on watching the opening or closing ceremony with your kids then they need an Olympic torch! Making a torch is simple. The only supplies you need are brown construction paper as well as red, orange and yellow tissue paper (for the flames). You will also need scissors and glue (or tape). Momstown.ca shares an easy torch craft here. CBC has created a fantastic Olympic website for kids that includes everything from a Mascot colouring book, quizzes, facts to instructions on how to make your own table-top curling rink. They also have a section that teaches kids all about Korean food and other interesting things about the 2018 Olympic games. It’s a must-visit website during the Olympics. My daughter loves this Origami Olympic Bracelets craft – and it’s so easy! You can make them the colours of the Olympic rings or show your national pride and make them the colours of the Canadian flag! Now that you have all these fun Olympic-themed activities, why not host a super fan Olympic-themed get together for kids!? They can make their own torches, make Olympic inspired bracelets, participate in a torch relay, play table-top curling, compete in age-appropriate Olympic trivia (anything from what do hockey players wear on their feet during a game to what is the name of Canada’s torchbearers) and cheer on their favourite athlete competing that day. There are many ways to celebrate the Olympics - and our athletes! Go Canada Go! How do you get into the Olympic spirit? Share your ideas by leaving a comment. On Parliament Hill from now until November 11th over 100,000 falling poppies will be projected onto the Peace Tower and Centre Block. The virtual Poppy Drop is presented by the Royal Canadian Legion. There is one poppy for each of Canada’s fallen. Beechwood Cemetery - 10:30 a.m. to noon. Taking place at the National Military Cemetery on the grounds of Beechwood Cemetery, this ceremony honours all those who have fallen in the service of Canada and all Canadian Forces members interred at the cemetery. There will also be a performance by the children’s choir. Bells Corners – 10:30 to 12:30 a.m., Royal Canadian Legion (Bells Corners Branch 593). Eastview/Vanier – 1:30 to 3 p.m., Royal Canadian Legion (Eastview Branch 462), north on Cyr Avenue between the Royal Canadian Legion (294 Cyr Avenue) and Montreal Road, east on Montreal Road between Cyr Avenue and Hannah Street, and north on Hannah Street between Montreal Road and Marier Avenue, and to the Vanier Cenotaph for the ceremonial service. Following the service, the parade participants will return to the Royal Canadian Legion going south on Hannah Street between Marier Avenue and Montreal Road, south on Cody Avenue between Montreal Road and Jeanne Mance Street, west on Jeanne Mance Street between Cody Avenue and Savard Avenue, and north on Savard Avenue between Jeanne Mance Street and Racine Robert Funeral Home. Kanata – 10:15 a.m. to 11 a.m., Royal Canadian Legion (Kanata Branch 638), east on The Parkway between Earl of March High School (4 Parkway) and Teron Road, south on Teron Road between The Parkway and Colchester Square, Colchester Square, and west on Campeau Drive between Colchester Square and the John Mlacak Centre. Rideau/Wellington Street between Sussex/Colonel By Drive and Bank Street, Queen Street between O’Connor Street and Elgin Street, Elgin Street between Wellington Street and Albert Street, Metcalfe Street between Wellington Street and Albert Street, and O’Connor Street between Wellington Street and Queen Street. Navan – 10:30 a.m. to noon, Colonial Road between Delson Drive and Fairgreen Avenue, and to the Navan Cenotaph for the ceremonial service. Orléans – 10:30 to 11 a.m., Royal Canadian Legion (Branch 632), Vimont Court and Taylor Creek Boulevard between Vimont Court and the Royal Canadian Legion at 800 Taylor Creek Boulevard, and to the Orleans Cenotaph for the ceremonial service. Osgoode – 10:45 a.m. to noon, Royal Canadian Legion (Osgoode Branch 589), Victoria Street between Eighth Line Road and Louise Street, and to the ceremonial service at the Osgoode Cenotaph in front of the Municipal Building. Richmond – 10:45 a.m. to noon, Royal Canadian Legion (Richmond Branch 625), Perth Street between the Richmond Shopping Plaza and the Richmond Memorial Park for the ceremonial service. Stittsville – 1:45 to 2:45 p.m., Royal Canadian Legion (Stittsville and District Branch 618), north on Stittsville Main Street between the Royal Canadian Legion, (1480 Stittsville Main Street) and Warner-Colpitts Lane, and west on Warner-Colpitts Lane between Stittsville Main Street and the Stittsville Cenotaph for the ceremonial service. The parade participants will return to the Royal Canadian Legion going east on Mulkins Street between the Stittsville Cenotaph and Stittsville Main Street, and south on Stittsville Main Street between Mulkins Street and the Royal Canadian Legion, Stittsville Branch 618. Strathcona – 10:15 a.m. to 11:30 a.m., Sunday, November 5, Royal Canadian Legion (Strathcona Branch 595), Main Street between Immaculata High School (140 Main Street) parking lot and St. Paul University (223 Main Street) parking lot for the ceremonial service. West Carleton – 1 to 2 p.m., Saturday, November 4, Royal Canadian Legion (West Carleton Branch 616), Constance Bay Road between McConnell Lane and Allbirch Road, and Allbirch Road between Constance Bay Road, and to the Royal Canadian Legion for the ceremonial service. Westboro – 1:30 to 3 p.m., Royal Canadian Legion (Westboro Branch 480), north on Winston Avenue between the Royal Canadian Legion and Madison Avenue, east on Madison Avenue between Winston Avenue and Churchill Avenue, south on Churchill Avenue between Madison Avenue and Richmond Road, and west on Richmond Road between Churchill Avenue and Broadview Avenue to the Westboro Cenotaph. Wreath laying and ceremonial service at Westboro Cenotaph from 2:30 p.m. The parade participants will return east on Richmond Road between Broadview Avenue and the Royal Canadian Legion (Westboro Branch 480).